Should We Drink Tea Hot or Cold? Just after water, the most commonly consumed beverage on our planet is, of course, tea. 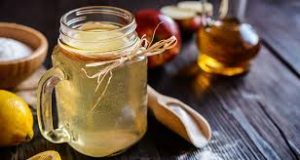 Each type of tea is rich in nutritious compounds and antioxidants, so it’s a rather healthy and nutritious alternative to soft drinks, sweet juices and coffee. But, should we drink it cold or hot? You should drink it the way you like it more, although hot tea has some small benefits when compared to its cold counterpart. Even though the temperature of the beverage you drink won’t permanently affect the temperature of your body, there’s a possibility it will temporary decrease or increase your body temperature. Thus, it is recommended to drink cool tea in hot temperatures, while you should opt for drinking your hot tea in cold winter months. This, however, doesn’t have a scientific proof, nor explanation, but let’s face it, it does come naturally! Check out this healthiest cold tea recipe, prepare it and enjoy in hot summer days. At hot temperatures tea has a stronger flavor and aroma, there is no doubt about it. Additionally, human tongue “likes” hot flavors more than cold ones. Therefore, consuming hot tea results in stronger signals to your brain and greater sensitivity, which means, we find it more flavorful, sweet and enjoyable when it is hot. If we take a look at powerful antioxidants, the truth is, there are more of them in a hot tea, if you drink it fresh from the kettle. The reason is simple, antioxidants are highly reactive and they disappear and oxidize quickly when exposed to oxygen/air. So, for the maximum antioxidant content, opt for a hot tea. Don’t mix terms “cold” and “ice”, though. Ice tea drinks usually have additives without nutritional value, as well as sugar, plus they have less actual tea. On the other hand, if you make your own tea and cool it down in a fridge, you will get a way more nutritious and healthier beverage. Finally, no matter if you prefer your tea hot or cold, make sure you limit the sugar content or, even better, don’t add sugar at all. That way, your tea will even help you lose some weight!